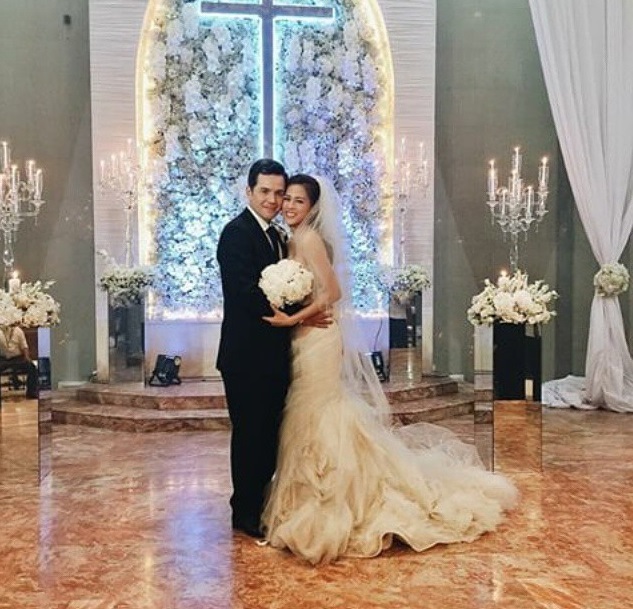 MANILA, Philippines - Kapamilya actress-host Toni Gonzaga and director Paul Soriano finally married on Friday, June 12, 2015 in a simple and intimate wedding in a Methodist Church in Taytay, Rizal, which is the hometown of the bride. The Christian wedding was attended by the couple’s family and close friends. Toni walked down the aisle in a Vera Wang gown, she was accompanied by her parents Pinty and Bonoy Gonzaga. Her younger sister Alex served as the maid of honor. Among the couple’s principal sponsors are boxing superstar Manny Pacquiao, Manila Mayor Joseph “Erap” Estrada, TV host Kris Aquino, ABS-CBN president Charo Santos-Concio, Dr. Vicki Belo. Toni and Paul have been a couple for more than seven years before their marriage.